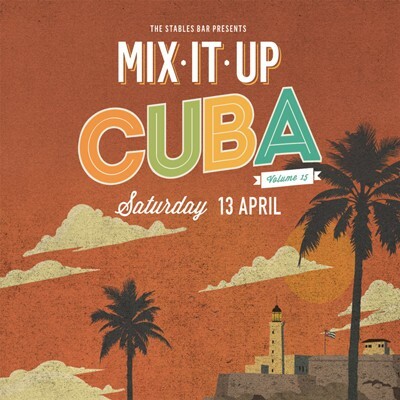 The Stables Bar takes you to CUBA for MIX IT UP Volume 15! We're serving our infamous 4 course feast, paired with 5 creative cocktails for $99 per person. Join us in The Dining Room for an afternoon of punchy flavour! Our kitchen will be bringing you a Cuban style menu and our bar serving a variety of vibrant Havana Club rum cocktails.